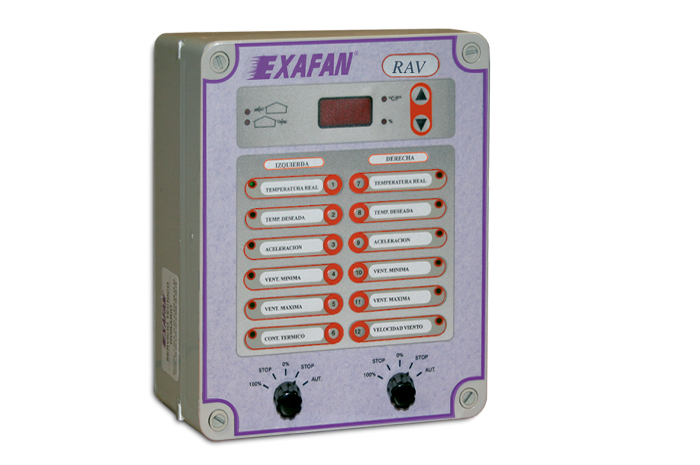 According to EXAFAN´s philosophy, which is based on making your job simple, we have developed a curtain controller for two independent sides, whose main goals are to optimize its performance along with its easy handling. 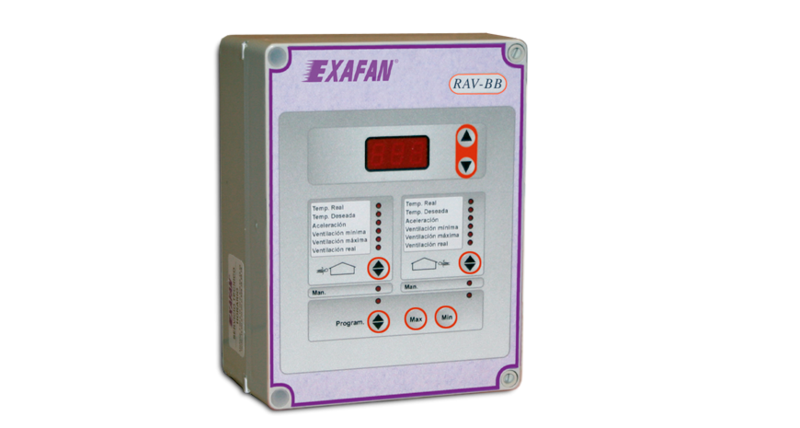 Exafan has designed the RAV-BB, a complete and simple system for pig farm climate control. It is an air inlet controller with 12 Vcc and a battery charger included.